Greetings to new and old subscribers! The photo you’re seeing was a highlight from recent weeks. 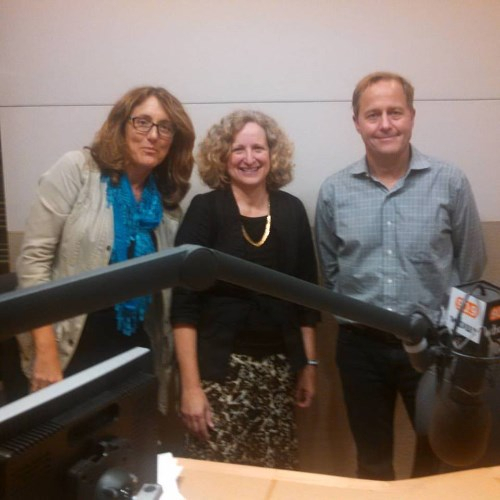 I’m standing in between co-hosts Deb Becker and Anthony Brooks of WBUR’s Radio Boston program. I went on the show and talked about Faith Ed. and fielded several questions from listeners, including teachers and others who supported the idea of teaching about religions in public schools. You can hear the show at this link. #IStandWithAhmed: If you go on Twitter, you probably noticed that hashtag just a week ago when a 14-year-old Muslim boy named Ahmed brought a clock invention to school and was arrested for allegedly bringing in a fake bomb. Ahmed’s story caught my attention because it reminded me of Muslim children I interviewed around the country for Faith Ed. Cognoscenti published my reflections this past Friday. Read them here, weigh in, share. Podcasts: The Church Lady podcast, stemming from the chapter of the same name in my book, has gotten new life this week. American RadioWorks is broadcasting the podcast. Trey Kay of Us & Them produced the nearly 30-minute podcast, which features my own story with a woman my brother and I called the Church Lady. Hired by local churches, she came into our public school and taught weekly Christianity classes. 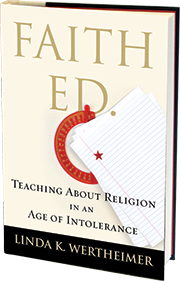 The podcast also includes author Jonathan Zimmerman, who gives a great perspective about the practice of weekly religious education. Many thanks to Emily Richmond of the Education Writers Association for interviewing me for EWA Radio’s podcasts. We spoke about various aspects of my reporting, including if it was difficult for me to write so much in the first person after spending 20-odd years as a journalist. Those who know my passion for the personal essay probably know the answer. It wasn’t too difficult for me to go into the first person, though it was tough at times to reveal what I thought during an interview of a subject. Hear the full podcast – just about 12 minutes in length – here. Above is a photo from one of most recent events – a talk at Cary Library in Lexington, Mass., with a panel discussion afterward with Rev. Kate Ekrem of the Church of the Redeemer; Imam Taymullah Abdur-Rahman, the Muslim chaplain at Harvard University; and Rabbi Amy Hertz, who oversees early childhood programs at Temple Isaiah of Lexington. Thanks to Peggy Stevens, of Kids4Peace Boston, for moderating the panel, and to Meagan Parker of Cary Library for organizing the event. It was fascinating to hear their take on teaching about religion as well as the importance of educating all of us about the nuance within each faith. LexMedia taped the evening, and when the video link is available, I’ll pass it along. Events: Please check out the full listing on my events page. Coming up: Talk, followed with conversation with Adam Blumer, Wellesley Middle School’s social studies department head, at Wellesley Books on Oct. 14 at 7 p.m., and participation in a panel discussion at the Boston Books Fest. More details to come on the latter, when the festival releases the schedule. 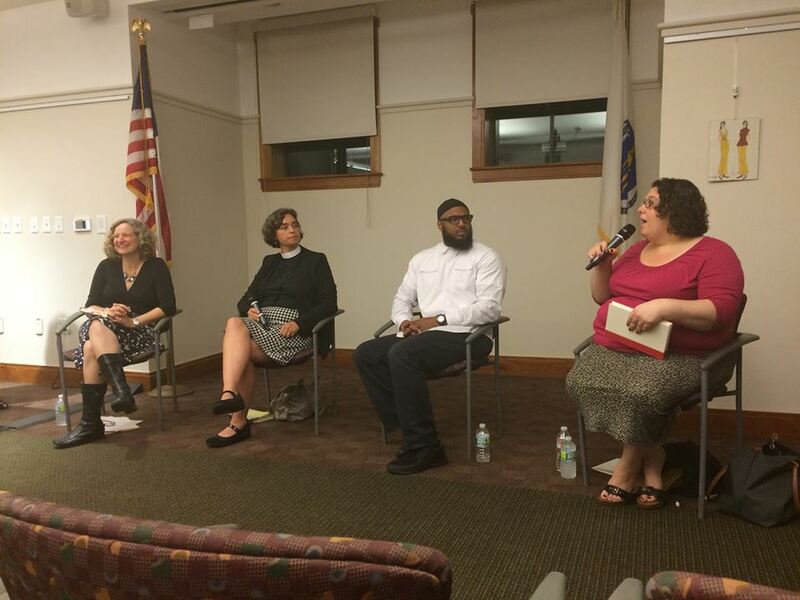 Tagged Adam Blumer, Cary Memorial Library, Cognoscenti, Imam Taymullah Abdur-Rahman, Rabbi Amy Hertz, RadioBoston, Rev. 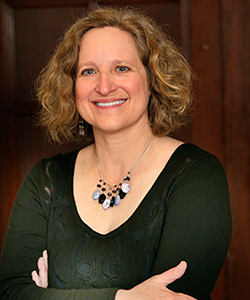 Kate Ekrem, Temple Isaiah of Lexington, Wellesley Books, Wellesley Middle School. Bookmark the permalink.